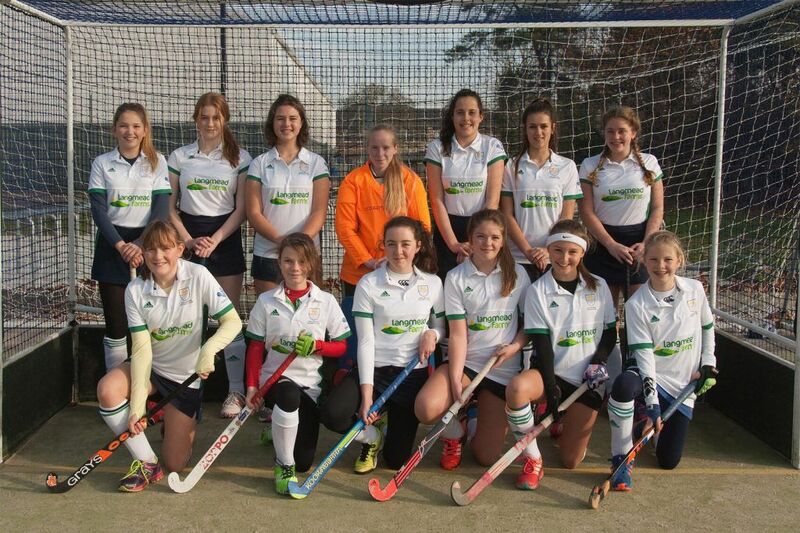 Langmead Farms has recently become a sponsor of the Chichester Hockey Club, specifically the girls’ team known as the CANONS (11 – 16 year olds). The sponsorship will support the 1st XI performance teams’ coaching, youth development and pitch fund. This sponsorship is in line with the Langmead community engagement criteria to support local and sport-related areas. On 3 September the official opening of the new Clubhouse took place, which formed part of the Club’s Open Day/start of season when sponsors were invited along; tournaments and prize-giving were held and a live band and hearty BBQ all ensured a ‘jolly’ afternoon was enjoyed by all. The Club’s teams recently had an amazing training opportunity …………………… Gold Medallist 2016 Rio Olympics team members Kirsty Mackay and Sophie Bray visited the Club. 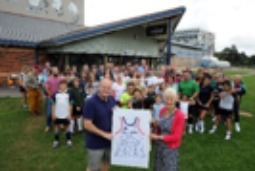 Following the training sessions, the GB heroes donated a #19 ‘Bray’ GB hockey playing shirt from Rio, which had been signed by a large majority of the GB winning side. This will be framed and given pride of place in the new clubhouse. Simon Pierce, the Club’s Chairman & Shelagh Legrave, OBE, Principal of Chichester College, proudly display the signed shirt. The CANONS wearing their ‘Langmead’ shirts.